Tired of listening to the same albums on repeat? Seeking some fresh new music to listen to? Look no further than these three new albums released earlier this month. 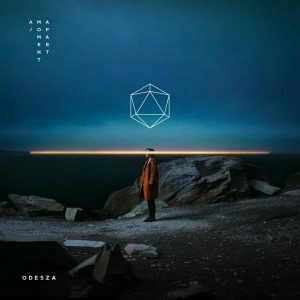 The genre of this album isn’t easily discerned, but that is to the credit of ODESZA. The conglomeration of electronic, pop and even classical has been categorized as electropop, but this isn’t your average pop album. The album opens with some intriguing storytelling in the first track, ‘Intro’, and moves into a full, orchestral sound that quickly transforms into a more modern set, with constant drum kicks and electronically altered vocals. This second track, “A Moment Apart,” is the best song of the album; it’s a well-composed, catchy yet moving piece of music that gives the listener space to breathe and take in everything that’s happening. It’s probably my favorite song from this entire new album roundup. The rest of the album, unfortunately, loses some of these qualities. As the album continues, it lacks the space it so desperately needs for the listener to enjoy the sounds instead of drowning in them. The music also become less original as the album continues. It seems more like cookie-cutter pop than the intriguing opening of the album. It’s easy for it to become more like background music than an engaging listen. This does turn around toward the end of the album, as some of the last songs recapture the magic of track two. It may be too late by this point, though — the listener should already be in a world of his or her own. While a good album, it’s not the masterpiece we may have hoped for from the first minutes of listening. 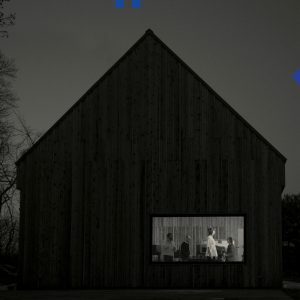 A mostly melancholy album, “Sleep Well Beast” is grittier than ODESZA’s “A Moment Apart.” The gravelly, deep voice of Matt Berninger dominates the album, along with the standard sounds of a modern indie-rock band: driving drums, varied electric guitar and some piano/keyboard. The National layers sounds to build the music, gradually achieving high-energy moments throughout the album. This is especially exemplified in “The System Only Dreams in Total Darkness,” in which simple lines in multiple voices climb to a high-impact guitar feature. The album also provides a variety of feels, from a slow sadness to a more energetic rock. The contrast between these songs differentiates them, keeping the listener engaged throughout. The chord structures don’t follow the trend of engagement, though. It isn’t hard to tell what comes next among a repetitive, predictable choice of chords in most songs. This is due to the focus on the texture of the sound instead of its tone. The grittiness fits the sad, real feel of the album, leading to a sort of listening different from the other albums in this review. 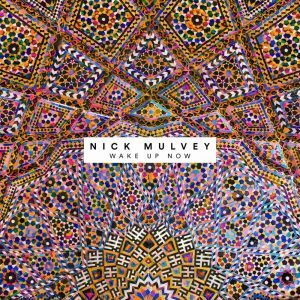 Nick Mulvey’s second full-length album is full of his distinctive voice over rhythmic guitars, driving percussion and even some brass voices. The sound is lighter than the other two albums in this review, but it still maintains a depth that grounds the light, airy compositions. There are plenty of foot-tapping songs that are catchy without being overbearing, along with moments to slow down and relax with light finger-picking and soft vocals. Mulvey takes an approach different from the layered, building sounds of The National. He employs horns, strings and subtle electronic elements in exactly the right moments to catch the listener off guard. The perfect moments of suspension, impact and emotion make for a unique, creative sound that is worth the listen.